Olorunda is a Local Government Area in Osun State, Nigeria. 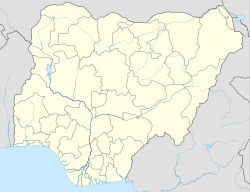 Its headquarters are in Igbona, on the outskirts of the state capital Osogbo. It has an area of 97 km² and a population of 131,761 at the 2006 census. The postal code of the area is 230. This page was last edited on 2 March 2018, at 23:20 (UTC).